A senior vice president in Ackerman & Co.’s Industrial Services group with nearly 20 years of commercial real estate expertise, Chris Miller focuses on leasing and sales of Ackerman-owned industrial properties. He also provides third-party and tenant representation services. 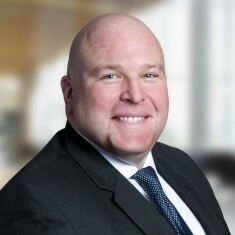 Prior to joining Ackerman, Chris was a vice president at NAI Brannen Goddard, where he represented tenants and landlords in leasing and sales transactions and seven ownership entities in a 2.4-million-square-foot office, industrial and flex portfolio. He also was a senior marketing and leasing manager at First Industrial Realty Trust in charge of leasing and managing a portfolio consisting of nearly 190 tenants totaling 7.5 million square feet, and a leasing manager at Parthenon Realty LLC, where he leased and marketed 1.3 million square feet of industrial and office space.